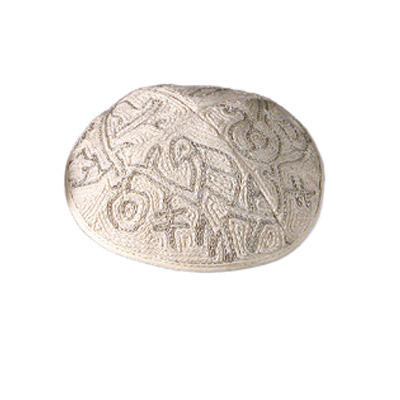 Hand Embroidered Kippah ( YAE- 9) CAT# YAE-9. Chain - stitched hand - embroidery on raw cotton using various colors of silk, gold and silver threads. . A kippah (plural: kippot), hech cap (US only), or yarmulke pronunciation (also called a skullcap or kappel) is a thin, slightly-rounded skullcap traditionally worn at all times by observant Jewish men, and sometimes by both men and women in Conservative and Reform communities. Its use is associated with demonstrating respect and reverence for God.